A cheery touch of seasonal Scandi style for the windowsill. 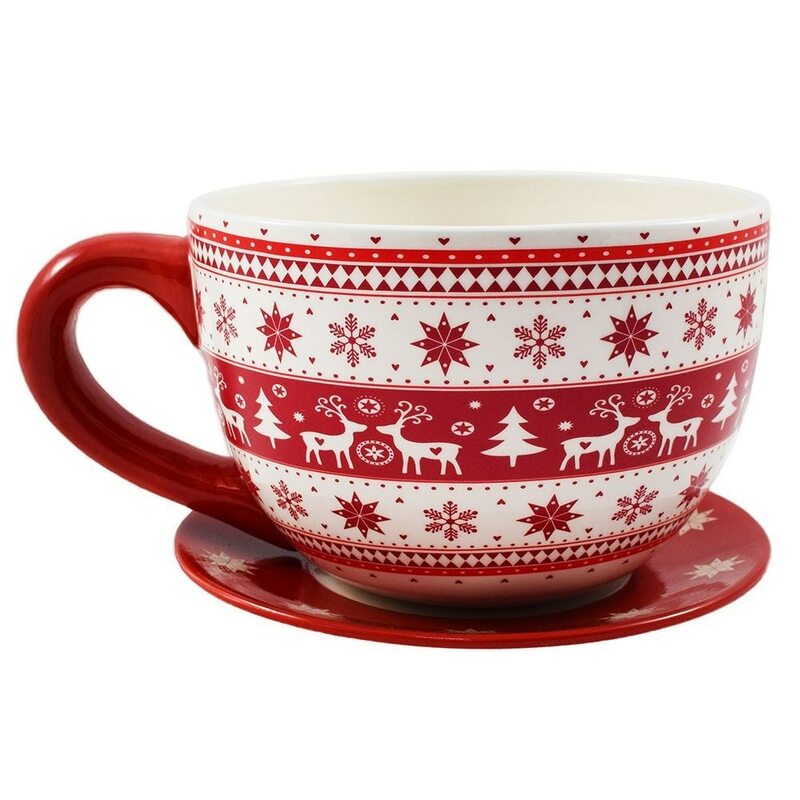 Ceramic cup and saucer planter with decorative bands of reindeer, snowflakes and trees in festive red and white. Watertight and finished with a premium glaze.